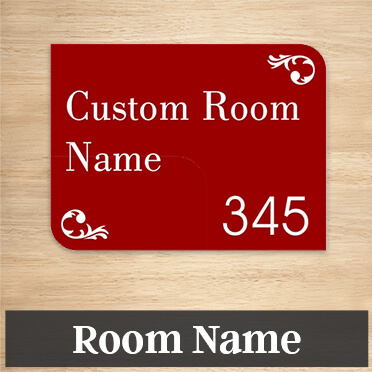 At CustomSigns.com we carry many types of door signs including custom name plates, room name and number signs, sliding signs, and name plates. 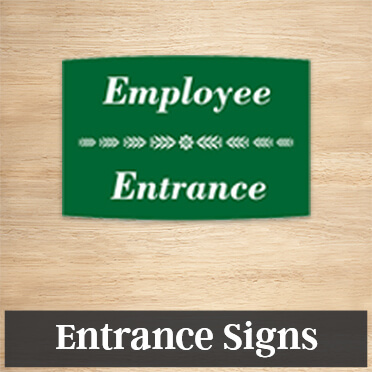 We offer full color plastic, engraved plastic, full color brass and engraved brass signs that will offer the perfect solution for all your door signage needs. 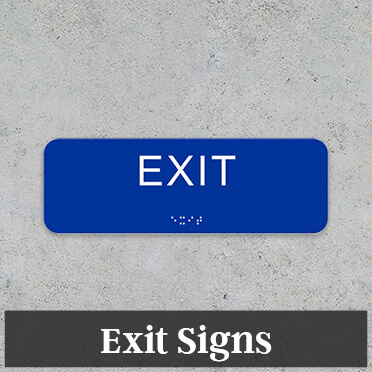 Door signs help employees and visitors locate rooms within your building much more easily, and you can customize these signs to your exact needs to include your company logo, employee name for custom office door signs and even custom slide signs for conference rooms. We offer full color UV printing and sublimation as well as engraving. These custom processes offer you limitless customization possibilities to ensure you get the right door signs for your business. 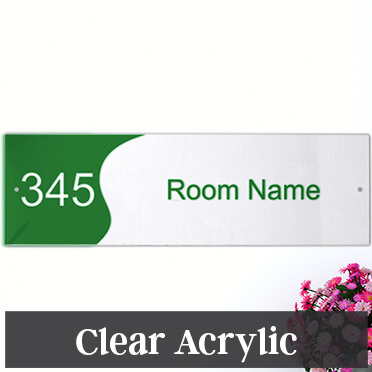 Door name plates are often the most popular types of door signage. You can easily mark every executive's office with a quality and professional brass name plate in full color or engraved style. 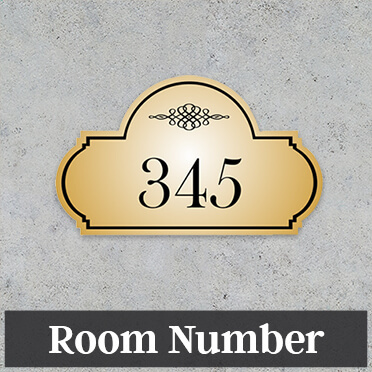 Our plastic office identification signs and brass engraved signs are among our most popular door signs because they come in several sizes and options. 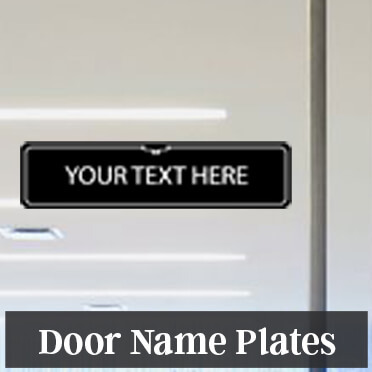 If you're ordering door name plates for the first time, you should order a plate with a holder. This holder can be mounted to the door, and a custom plate will slide into it. When it's time to replace a room name or employee name, you can find an insert that will fit into your existing holder. These inserts help save money and time! When meeting or lactation rooms are in use, you'll want to prevent interruptions. 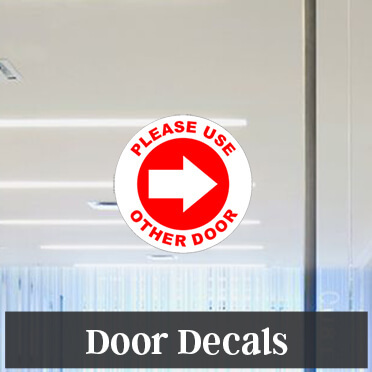 Our sliding door signs help you keep meetings and conferences private. Add any custom text you need to our custom slider signs available in white or black. 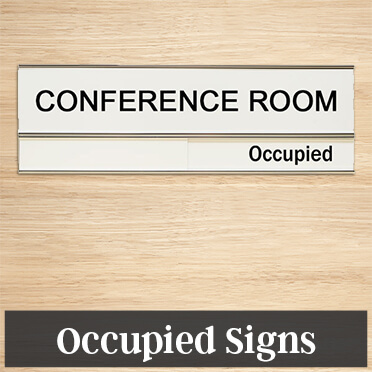 We also offer stock slider signs for your lactation room or conference room. These feature a green "vacant" side and a red "in use" or "occupied" side. We've been in the sign making business since 1954. You can count on quality and fast shipping on custom door signs! Also see custom aluminum, custom plastic, vinyl banners and many more types of custom signs here at CustomSigns.com.